It has been more than 5 months since my last reviewed blog here on bitLanders. Yes it’s been a while and here I am again trying to start a new, I am hoping I could be active as before considering the fact that I already have another writing site which I am constantly visiting since 5 months now. And yes for that span of time I already surpass my 3 years earnings here. No regrets although this time I find the need to really go back here on bitLanders. I mean I have a regular work and I am spending time in the office for 11 hours every day except Thursdays and Fridays. Yes I do have a considerable amount of income already being an Overseas Filipino Worker but I am considering those things I love doing, I mean blogging and socializing with other site members are already part of my favorite hobbies. And of course the extra income I used to get by doing those daily activities helps a lot! Now after more than 10 months I had the chance to see my love ones back in the Philippines again. I was so elated and blissful that at last I will be spending quality time with my family again. We had long list of places to visit and yes we did visited those that we intend to go and those wonderful family bonding are the ones I want to share with you all in my first few blogs here on bitlanders. 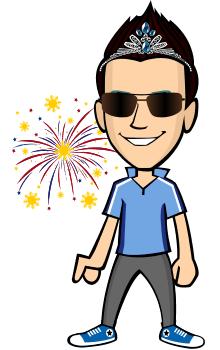 And of course as announced by Micky-the-slanted-salerno recently I will also be submitting more movie reviews soon. So watch out for it. Actually, Bukidnon is another province next to where I live I mean it’s different from Misamis Oriental but we are lucky this wonderful mountain resort is located very near to our residence. 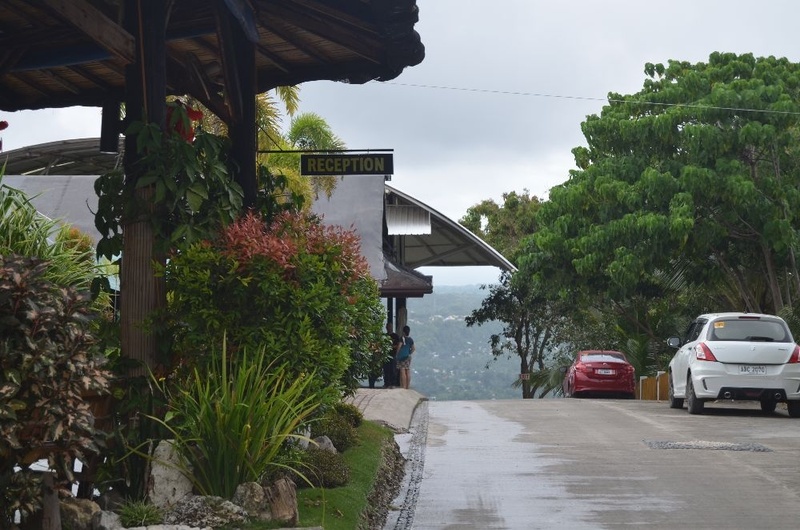 When I say near it means, when we need about 2-3 hours travel by land in order to reach the first city in the province of Bukidnon, it will only take us less than 20 minutes to reach Ultra Winds Mountain Resort. Why? 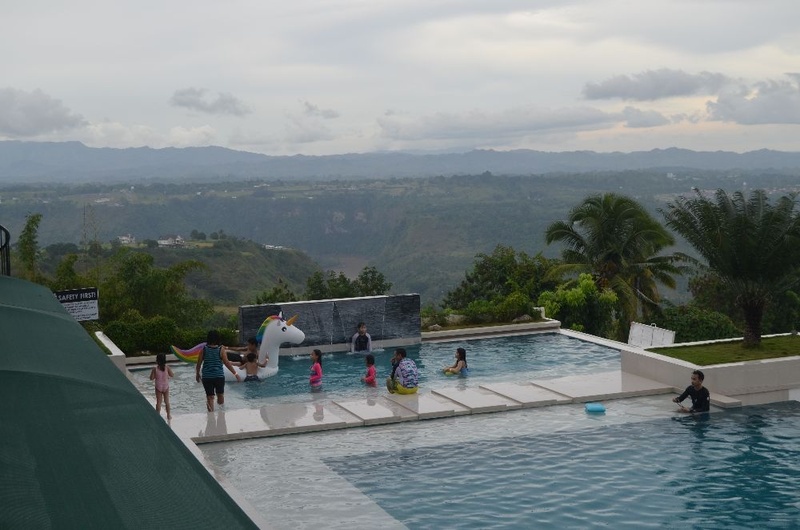 It’s because it is located in the mountains connected to part of Cagayan de Oro, meaning it is located in the boundary between Bukidnon and Cagayan de Oro so when you are there it is like you never left Cagayan de Oro. Anyway, the place is really superb and I’m sure anyone who had the chance to go there would really wish to come back again. That’s how I felt after spending the whole day in such a wonderful place. I wanted to go back there and had a stay for a day or two. Hopefully when I will have my vacation again soon. If you love the peace and beauty of nature, love a place with no traffic, no large crowd, no pollution, if you like to see good views from the mountain top, if you want to stay in a place where you can see a panoramic view of Cagayan de Oro, if you want to hear the birds singing, and feel the cold air then Ultra Winds Mountain Resort is the best place for you to visit. This is their entrance, the area where you will register or pay for some services offered like a stay in their beautiful hotel rooms, horseback riding, zip line, safari tent camping, etc. 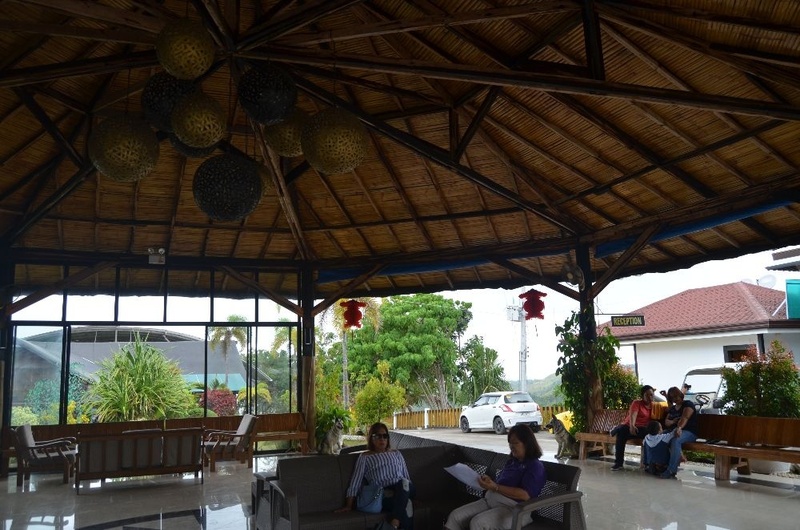 This serves as waiting place also for families or groups who are coming through different transport. Next to the entrance area is their huge function rooms more than enough for a large wedding receptions, seminars and other gatherings. This area is perfect pick if you want to have a solemn weeding ceremony or any religious activities like recollections and retreats. Going a bit down is their restaurant with some sports facilities like dart, table tennis and billiards. My kids really had fun playing table tennis, it was a great time for the whole family, me and my wife joined too. We really had a great time playing such that my kids wants to extend our time or shift to playing billiards. We really had so much fun! Good that the two billiard tables besides are all occupied so we are saved from spending hourly rentals LOL and besides it was going to dark already I mean it’s getting late and we need to go home before 8 pm. But then the short time we spent playing was worth remembering. Until now I still look at those pictures once in a while and reminisce those wonderful moments with my wife and kids. Besides the restaurant is their infinity pool. The view is really magnificent. 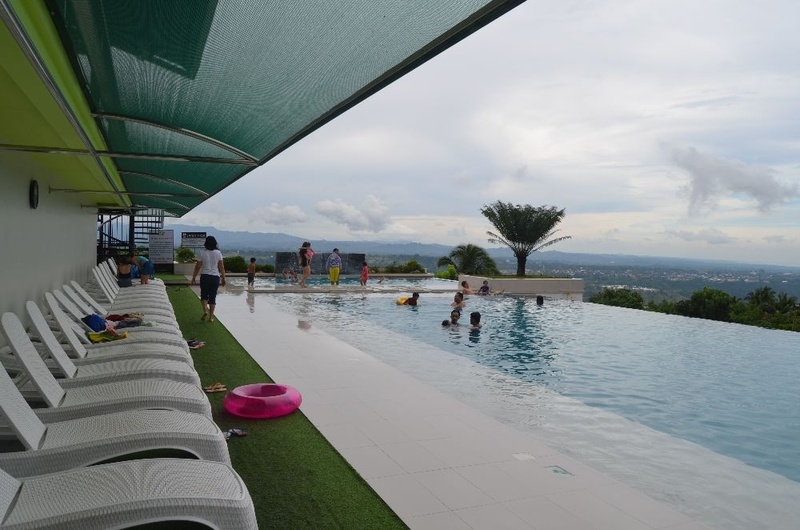 You can have a good sight to the Cagayan de Oro River and some other scenery down the hills while enjoying the beauty of the pool. I think or I can say that your stay in this place is not at all complete if you will not spend time in their beautiful swimming pool. As I can remember, we stayed more time playing at the pool than any other place in the area. 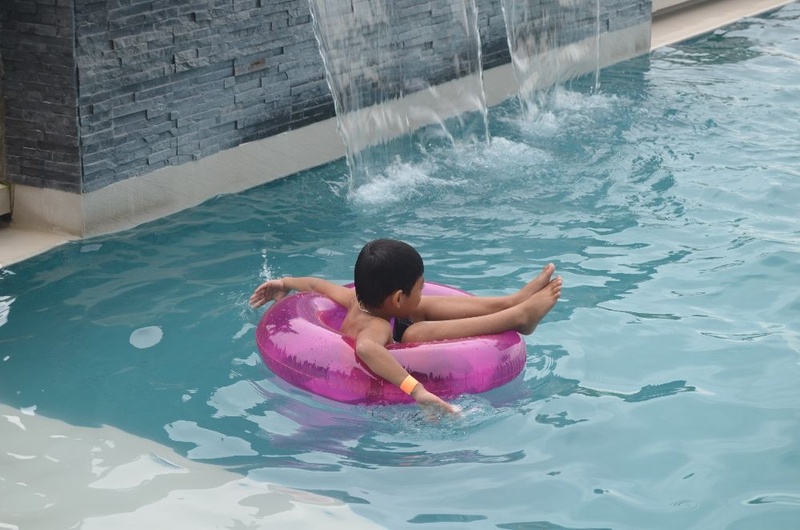 As usual they have area for little kids to enjoy although adults are also enjoying the little pool at the rear part, but a far bigger pool is more appropriate for older ones where one can dive and have a good swim. 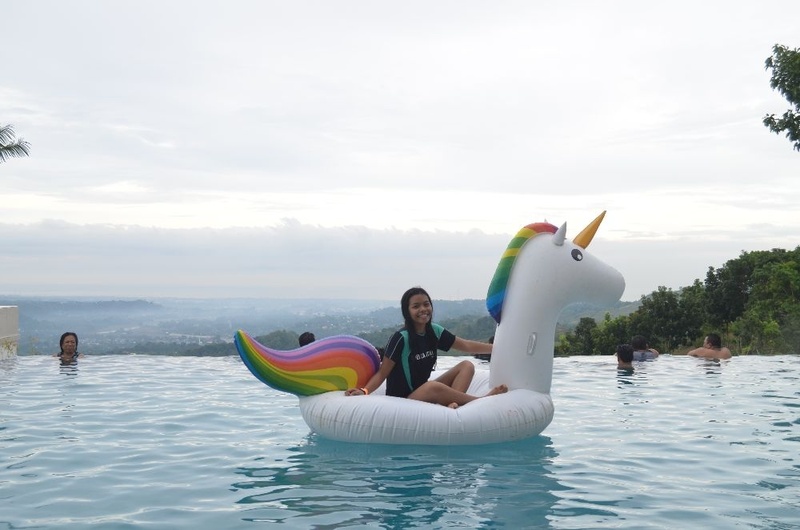 My kids really had a wonderful time swimming and playing with their lovely unicorn. Overall, I find the place very relaxing. They have showcased a perfect getaway to the busy life of the city. It is one best place to relax and commune with nature. Visit this LINK to see more wonderful photos and HERE to visit their official website. How about you? How often do you travel? Do participate in the Querlo survey chat below to learn more. mahal man d ay rooms nila dre sir noh? sakto diay sa pulong na sad. para dili napod sticker ang akong comment..
Nice piece. Hope to see you around more.